In this file photo, Ivanka Trump arrives at a Gala Dinner at Deutsche Bank within the framework of the W20 summit on April 25, 2017 in Berlin, Germany. On Thursday's upcoming episode of "The Dr. Oz Show," the first daughter and senior advisor to the president revealed that she had postpartum depression after the birth of her kids. Ivanka Trump is opening about motherhood. The 35-year-old sat down for an interview with Dr. Oz, set to air on Thursday's episode of "The Dr. Oz Show," and discussed her struggles with postpartum depression. Trump has three children with her husband Jared Kushner and during her interview with Dr. Oz, she revealed that with each of her three children she had "some level" of postpartum depression. 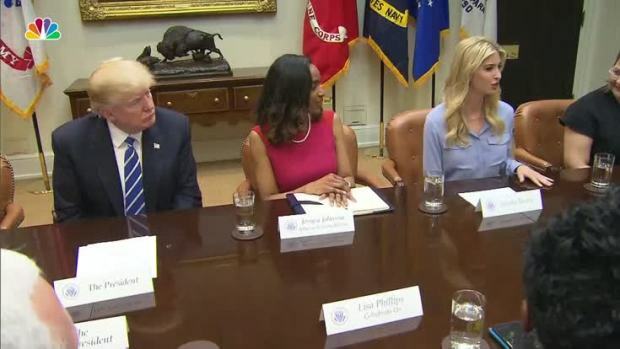 "It was a very challenging, emotional time for me because I felt like I was not living up to my potential as a parent or as an entrepreneur and as an executive," Trump said. "And I had had such easy pregnancies that in some way the juxtaposition hit me even harder." When Dr. Oz asked Trump why she was now willing to talk about something as personal as postpartum depression, she said she had not planned on doing so. "Well I didn't know that I was," Trump laughed. "But you asked me a question and it's incredibly important. I consider myself a very hard-charging person, I am ambitious, I'm passionate, I'm driven, but this is something that affects parents all over the country." In another segment of the interview, Dr. Oz talks to Trump about working in the White House for her father, President Donald Trump. "There's some who created a narrative that you should be a voice of moderation," Dr. Oz says and asks her how she responds to that idea. "Well I think that my role, and anyone who works for the President of the United States, their role is to inform, advise and then ultimately execute," she says. "So I'm not the decision maker. I have my views and I share them candidly and as a daughter I have the latitude to do that, but I also respect the process and my father is now president and the American people elected him based on his agenda and my job isn't to undermine that agenda, it's to embrace the areas where there's commonality and there are so many areas." Ivanka Trump will become an official White House employee. The eldest daughter of President Donald Trump will serve as Assistant to the President, the White House announced Wednesday. She continues, "I'm deeply passionate about fueling the growth of women entrepreneurs, I'm deeply passionate about supporting America working families. So I feel privileged that he's given me the platform to push areas and push issues that are aligned with his agenda. Where I disagree with the agenda, I'll share it with him quietly but I don't view it as my obligation to moderate and I don't think anyone working for a sitting president should see themselves in that capacity." 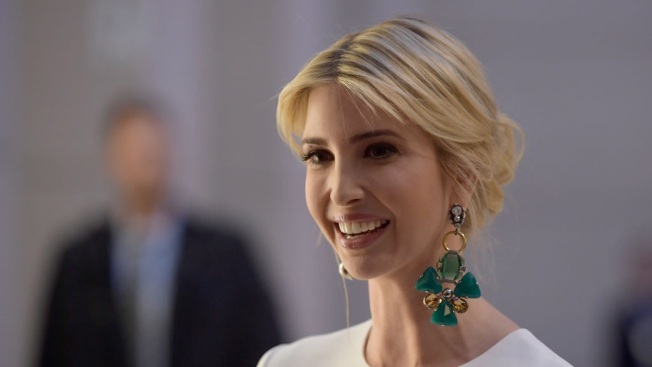 Original Post: Ivanka Trump Discusses Her Struggles With Postpartum Depression: "It Was a Very Challenging, Emotional Time for Me"